Leading Wholesale Trader of Stainless Steel Container Set, Steel Spice Container Set, Sugar Container Set, Steel Food Storage Container Set, Kitchen Storage Container Set and Stainless Steel Tope Set from Chennai. Enriched by our vast industrial experience in this business, we are involved in offering an enormous quality range of Stainless Steel Container Set. Our company has gained name and fame in presenting Steel Spice Container Set. 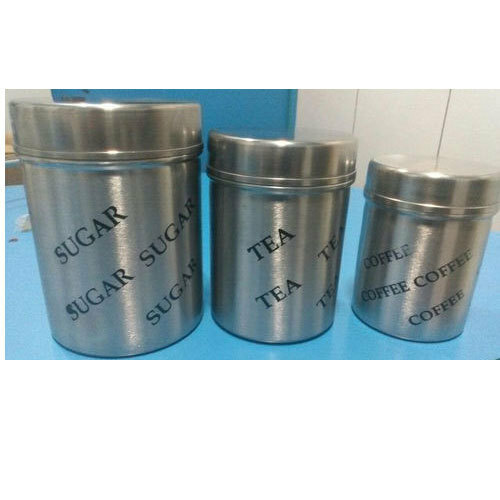 Matching up with the ever increasing requirements of the customers, our company is engaged in providing Sugar Container Set. As per the needs and requirements of our clients, we are involved in providing Steel Food Storage Container Set. Matching up with the requirements of our clients, we are involved in offering Kitchen Storage Container Set. We are one of the most reliable companies in this domain and are into offering Stainless Steel Tope Set.